UK GYM-chain operator Fitness First intends to grow its Asian footprint by pumping an estimated US$142 million into the region, with a particular focus on Singapore and Thailand. As Fitness First has secured sufficient funding for expansion, it will not be launching an initial public offering (IPO). In 2011, it shelved a proposed IPO in Singapore reportedly because of market volatility. Of the estimated US$142 million investment, the bulk of it (US$100 million) will be used for its five-year expansion programme. The programme aims to grow Fitness First's footprint in Asia by about 60 per cent. By 2018, 50 new outlets across Asia are slated to open, and membership is expected to increase by almost two-thirds, to more than 350,000 people. The remaining US$42 million will be used to upgrade its existing outlets. US$30 million will fund new technology, equipment and club design while the rest (US$12 million) will go to staff training and marketing. In Singapore, it operates 16 clubs. 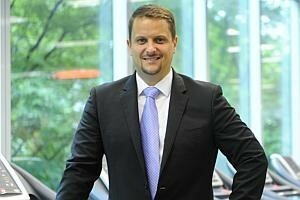 Simon Flint, chief executive officer of Fitness First Asia said: "Singapore is one of our most buoyant markets." This may explain the surge in the company's total investment in its outlets islandwide - from US$2.4 million in FY2013 to US$15.2 million in FY2014. According to Mr Flint, up to 30 of the 50 new outlets to be opened in Asia by 2018 will be situated in Singapore. The outlets in Singapore will be further spread out islandwide, from the heartlands to the Central Business District. Fitness First estimates that less than 5 per cent of the South-east Asian population are members of a health and fitness club. The prospects for Asia remain bright as the region offers "a growing market with current low penetration". Mr Flint said: "Current trading in Asia is strong with revenue growth of 12 per cent year to date, making us increasingly confident about the future." Fitness First Asia reported strong growth for FY2013. In the 12 months to Oct 31, 2013, revenue was up 9.8 per cent at US$212.3 million. Adjusted operating profit was up 14.5 per cent at US$32 million. Beyond the Asian countries in which it has already established itself, Fitness First is open to the possibility of venturing into China.